Transportation professionals are sensitive to public dissatisfaction with work zone congestion, delay, and safety and are continually developing new approaches to improve traffic operations in and around work zones. Transportation professionals also appreciate that the need for work zones is large and growing across the nation. The increasing need to repair and maintain rapidly deteriorating infrastructure and the need to supply some additional roadway capacity lead to more work zones. Transportation agencies are challenged to balance the increasing need for work zones with mobility and safety concerns expressed by the public and government agencies. Full road closure is one method that transportation agencies are giving increased consideration to during project planning and design, as a potential way to balance these conflicting needs. State highway agencies have used full road closure successfully on a variety of project types ranging from full-depth reconstruction to bridge joint replacement with guard rail enhancements. The projects examined during this research effort had varying characteristics and reasons for using full road closure, while achieving similar positive results. Project personnel interviewed felt that full road closure was able to improve the road rehabilitation process, creating efficiencies that reduced project duration and in some cases overall costs, while improving safety. A consistent theme, heard during interviews with project personnel, was the positive public sentiment that resulted from the use of full road closure. Why Use Full Road Closure? The six projects examined for this study experienced numerous benefits as a result of using a full closure approach. All projects reported a reduction in project duration. Two projects realized significant estimated cost savings. For five projects, project personnel cited traveler and worker safety as a benefit. Three projects reported a better-quality product. All projects reported that public sentiment was positive. The increased workspace and flexibility in project staging that are offered by full closures often led to greater efficiency (see Figure 1). Project personnel felt that worker productivity improved due to less distraction from traffic. All project sites noted that the impact of construction on travelers was reduced. City/county agencies and personnel often need to be convinced of the feasibility of implementing a full closure strategy and the potential benefits that can be realized, compared to traditional means of performing rehabilitation under traffic. Full closure projects are typically done on an accelerated schedule. Contractor and supplier ability to provide adequate amounts of resources (materials, equipment, crew) to maintain an accelerated pace should be assessed prior to letting a project as a full closure. Meeting the project completion deadline is particularly important when using full closure since this is often highly publicized as the date when the road will re-open. Therefore full closure projects may carry additional deadline pressure for those involved. This can accelerate decisions and limit the time for researching options when issues arise. Impacts to business or entertainment venues can be a factor. Many of the project sites planned closures around events and considered impacts to businesses during the planning process. Full closure projects are often scheduled on a 24-hour work basis, so there is potential for impacts to local residents, including noise and light pollution. Increases to traffic densities on alternate routes must be assessed, planned for, and managed. Depending on available alternate routes, there is a potential need for capacity improvements and operational enhancements that may require additional funding and coordination during the planning and programming phases. The public outreach component was noted as the key factor in the success of full closure projects by several sites. The use of full road closure requires significant lead time for increased planning and outreach with regard to the potential effects of road closures. Project personnel need to consider all possible stakeholders to ensure that their needs are met throughout project duration. The availability of adequate alternate routes is the most critical factor in pursuing a full road closure approach. For the study sites, projected congestion impacts typically went unrealized as demand during the project was less than expected as a result of information dissemination. A solid traffic management plan is vital to the success of the project. This includes an appropriate amount of signage in advance of the closure to inform travelers of alternate routes. State agencies are typically not allowed to specify city or county roads as detours. However it was found that non-state roads might handle much of the diverted traffic. Two sites related that after about two weeks traffic redistributed on its own and balanced the increased load on the network, at which time a fair assessment of overall traffic flow could be made. With the National Highway System essentially complete, and many roads surpassing their useful design life, the focus of roadwork has shifted from new construction to rehabilitation and improvement of existing facilities. As a result of this trend, transportation agencies are faced with the need to perform a greater number of projects on roads carrying traffic. The resulting work zones have the potential to cause mobility and safety impacts that affect road users, nearby businesses, and construction workers. In general, the traveling public and elected officials have expressed a high level of frustration with the congestion and delay caused by work zones. In addition, the public and the transportation industry continue to be concerned with the safety of travel in and around work zones. The expansion of typical metropolitan peak-period congestion levels from 2-3 hours daily in the early 1980s to 5-6 hours daily today is resulting in a smaller window of opportunity for contractors to perform roadwork without impacting peak period traffic flow. Results from a survey, taken in 2000 and referenced in the Federal Highway Administration report Moving Ahead, indicate that more than 60 percent of those surveyed were dissatisfied with the speed of repair and traffic congestion related to work zones. (1) Congestion related to work zones can result in increased travel times, environmental impacts, worker health and safety risks, and traveler dissatisfaction. According to the results of a recently released study, work zones account for at least 24 percent of non-recurring delays on freeways. (2) More than 40,000 people per year are injured as a result of motor vehicle crashes in work zones. (3) In the last decade more than 8,000 fatalities have been reported in work zones. Some may be surprised to discover that more than 80 percent of work zone fatalities are motorists traveling through the work zone. The purpose of this report is to raise awareness among designers, construction engineers, and managers of the applications and benefits of full road closure during rehabilitation and construction activities. Based on interviews with project personnel (when available) and literature reviews, six projects using a full road closure approach are described, including benefits, considerations for success, and lessons learned. Factors related to duration, cost, safety, mobility, quality, and public sentiment during the application of full road closure are presented. The goal of this examination is to provide transportation agency staff with a better understanding of the reasons for the use of full closure, and the benefits associated with the approach. During a full road closure, traffic is detoured, usually for a predetermined amount of time, allowing contractors full access to roadway facilities. Full road closure can significantly reduce overall project duration. As presented in Table 1, a number of alternate closure strategies are possible in addition to full road closures. Some agencies and contractors have used a full closure approach for an extended period (e.g., three months), while others have performed full closure operations on weekends or at night when traffic levels are lower. The removal or suspension of traffic operations either directionally or bi-directionally from a segment of roadway for the purpose of reconstruction and/or maintenance activities. The removal or suspension of traffic operations either directionally or bi-directionally from a segment of roadway during a weekend for the purpose of reconstruction and/or maintenance activities. Often work will begin Friday night following the peak period and continue until Monday morning, ending prior to the peak period. The removal or suspension of a portion of traffic operations either directionally or bi-directionally from a segment of roadway for the purpose of reconstruction and/or maintenance activities. Traffic can be suspended based on vehicle type (e.g., removing automobiles, allowing trucks to continue) and/or destination (e.g., removing through traffic while maintaining local traffic). The removal or suspension of traffic from a segment of roadway during the night or off-peak traffic periods, for the purpose of reconstruction and/or maintenance activities. The removal or suspension of traffic from a ramp or series of ramps for the purpose of reconstruction and/or maintenance activities. The removal or suspension of traffic from a segment of roadway for specified time increments, typically five to 30 minutes while roadwork takes place, for the purpose of reconstruction and/or maintenance activities. This section provides descriptions of each project site studied. Benefits, lessons learned, and issues raised during interviews and literature searches are developed and highlighted for each project. Table 2 below provides a quick reference of characteristics on each project site. The I-84 corridor in Portland, Oregon is one of the most heavily traveled roads in the state. The corridor serves as a major interstate freight and commuter driver route to downtown Portland. Over 20 years of vehicular and heavy commercial truck traffic caused severe pavement rutting along the interstate. Originally planned for 2005, the Oregon Department of Transportation (ODOT) decided to perform pavement rehabilitation early to adequately maintain the roadway and take advantage of available project funding. Figure 2 shows the project route and recommended detours. In order to carry out the accelerated schedule, an innovative strategy was needed to manage traffic during construction. ODOT decided that the use of full closure was the best option for adequately managing traffic throughout the duration of the project, and would provide for increased mobility and safety for the traveling public. The contract specifications originally called for traditional maintenance of traffic during half-width construction. Immediately after the project was let, ODOT engineers suggested that full road closure be used to expedite the project. The late decision to use full closure did not allow for incentive/disincentive clauses to be added to the contract. ODOT anticipated that the use of full closure would minimize the impacts to traffic from the rehabilitation, and allow for the project to be completed prior to the rainy winter season. A change order was implemented on the existing contract, and full weekend closure was planned for the paving elements and temporary striping. Work on I-84 occurred during two consecutive weekend full closures, with eastbound closed on the first weekend and traffic detoured, and westbound closed the following weekend with traffic detoured. Work scheduled for the barrier wall and permanent striping portions of the project would take place using traditional maintenance of traffic methods following the closure. Project dates - August 2, 2002 through August 12, 2002. To assess how the transportation network in the Portland area would handle a closure of I-84, ODOT used an equilibrium assignment transportation model (EMME/2) with peak period traffic volumes as the base condition. ODOT prepared scenarios for a projected "before," "during," and "net change" in weekend peak period traffic on all routes in the corridor. By using full closure the major streets such as Burnside, Broadway, Halsey, Glisan, Sandy Blvd., Lombard, and Powell Blvd. would handle the bulk of the traffic diversion in both directions. The EMME/2 and existing traffic counts predicted that traffic resulting from the I-84 closure could increase traffic volume as much as 500 to 700 vehicles per hour (vph) on each of these streets in the direction of the closure. (6) Other routes were expected to increase between 100 and 500 vph. These levels were comparable to existing weekday peak period traffic. In order to accommodate the increased demand on alternate routes, the signals were set to weekday settings during the closure, including longer intervals for directional through traffic. In planning for the I-84 project, ODOT also needed to take into consideration an ongoing construction project on I-5, near the interchange of I-84, that was using full weekend closures for rehabilitation. Traffic modeling scenarios were also developed to examine the impact of concurrent I-5 and I-84 closures. The analysis was performed under the premise that each closure would be directional. The analysis prescribed that eastbound I-84 could be closed during the southbound I-5 closure, and the westbound I-84 closure could occur with an I-5 northbound closure. Given the projected traffic levels, only signal re-timing for typical weekday A.M. or P.M. peak periods was necessary on alternate routes. Working with a limited budget and time frame, the public outreach component of the project was far-reaching. Public outreach is considered a key component for ensuring the success of a full road closure. Prior to beginning work on the I-84 project many stakeholders were informed and educated on the full road closure. A call list was developed which included local businesses, entertainment venues, travel agents, satellite mapping software services, emergency service providers, and local associations. Sources used by the public relations staff included mailers, radio ads, TV commercials, news stories, flyers, newsletters, and the Internet. The project website broke a record with double the number of hits than had ever been achieved for an ODOT website. As a result of the outreach initiative, citizens and travelers were well-informed of project status and alternate routes on which to travel. ODOT decided to use full closure to expedite the badly needed pavement rehabilitation project and to ensure completion prior to the winter rainy season in Portland. Under the full closure strategy, the paving requirements of the project would be completed in only two weekends. Safety of workers and drivers was also cited as a reason for using full closure. ODOT was able to issue a change order to the original contract and implement the full closure scenario, thereby reducing the public´s exposure to the work zone and the workers´ exposure to traffic. Duration: Without using full closure, ODOT estimated that the project would take 32 nights. Utilizing full closure reduced the project duration to two full weekends. Traveler exposure to adverse conditions created by the need to rehabilitate the roadway was reduced from 32 days to 4.7 days. 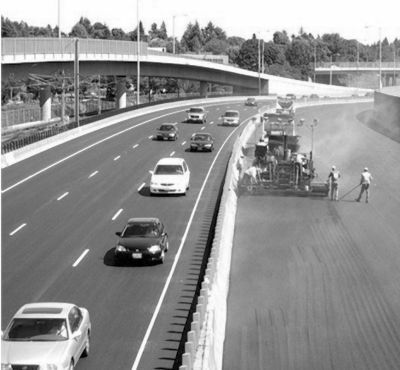 Utilizing full closure for the I-84 project resulted in a time savings of more than 85 percent. Worker and Traveler Safety: Removing the traffic/worker interaction has great potential to reduce the crashes that take place during the project. Figure 3 shows workers paving one direction of I-84, without traffic present. The ODOT project team interviewed cited no serious crashes or injuries during the full closure. The ODOT project team noted that several crashes occurred during barrier improvements, which were completed on the same area of I-84 after the road was reopened to traffic. Cost: Project personnel estimated that ODOT saved approximately $100,000 by using full road closure. ODOT attributed the savings to increased contractor efficiency (70 percent of the savings) and reduced traffic management costs (30 percent). Had full closure been included in the project specifications, there was potential for the project cost to be cut in half. This figure is an estimate and does not account for user cost; no quantitative analysis or estimate was available to measure the full cost savings resulting from the use of full closure. Quality: It is the opinion of personnel interviewed that a higher-quality product was achieved through the use of full road closure. On the I-84 rehabilitation, project personnel cited that a smoother ride was achieved through the necessity for fewer joints. It is to be seen whether the need for fewer joints will prolong the life cycle of the road. Project personnel related that a quieter ride was achieved through full-width construction, improving public satisfaction with the project overall. Public Sentiment: Project personnel related that positive public sentiment was achieved through the use of full closure. Following completion of the project the Oregon DOT received more than 50 phone calls and e-mail messages from travelers and citizens pleased with the way the project was handled. ODOT did not receive any complaints, which project personnel noted is very unusual for a project of this size. Given more lead time it may have been beneficial to include barrier, inlet, and manhole work, as well as striping, in the full closure process. Having begun project discussions in December 2001 the team did not have enough lead time to plan for every aspect of the project. The scope of work originally called for the maintenance of traffic during paving operations. Project cost may have been reduced by as much as half had the contract specifications called for bids based on the use of full closure. The availability of alternative routes is critical to the success of a full closure project. Traffic was found to be less congested than the traffic modeling predicted, possibly due to trip elimination or mode change. Coordination between the I-5 and I-84 project teams was key to successful traffic management during the rehabilitation. Project teams from each project worked together to ensure that both closures were considered during project planning. No major issues resulted from the simultaneous closures, given the adequate alternate routes and planning and outreach efforts. Two asphalt plants supplied material to the project site. During the second weekend closure (eastbound paving), one plant broke down. An alternative plant was able to be used to complete the project without delay. 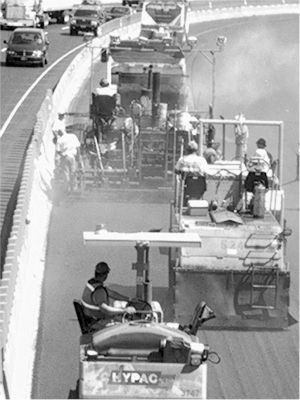 The contingency plan was necessary to ensure delivery of the large amount of asphalt required (see Figure 4). Having been let on June 22, inadequate lead time was an issue affecting project personnel. Although the rehabilitation was completed with no major issues, the project team related that stress resulted from not having adequate time to plan for full road closure. The I-65 corridor in Kentucky is a highly traveled corridor providing access to many businesses essential to the economic vitality of the City of Louisville. Several of Louisville's major hospitals, the airport, the University of Louisville, the Kentucky State Fairgrounds and Convention Center, and Six Flags border this section of I-65. Over the past several years, large numbers of vehicles as well as commercial truck traffic have degraded the existing highway infrastructure. During August and September 2000, the Kentucky Transportation Cabinet (KYTC) successfully used the full closure strategy to complete a major rehabilitation project on Interstate 65 near Louisville. Figure 5 shows the I-65 project route and recommended detours. With over 20 years of wear and tear, the expansion joints were in need of replacement, as they posed a potential danger to the traveling public. I-65 was the first long-term use of full closure in Kentucky. Due to the success of the I-65 project the KYTC decided to use full closure on a subsequent I-64 rehabilitation project. This section of the report will focus on the I-65 project. The I-65 project took place in August and September 2000, and consisted of the replacement of 44 bridge expansion joints, resealing eight other expansion joints, and other smaller maintenance issues along the downtown portion of I-65 including patching 10 bridge decks. An incentive/ disincentive package was used to ensure timely project completion. The project was completed 12 hours ahead of schedule, which led to a $62,500 incentive. Project dates - August 11-14, 2000 and September 15-18, 2000. Maintenance of traffic plans for I-65 were exhaustive in nature. Louisville's ITS system was used throughout the project and consisted of variable message signs placed well in advance of the detours to inform and guide motorists. Some signs were placed 100 miles in advance to direct motorists toward detours. Motorists were reminded of the dates and times for the full closure one week prior to construction through the variable message signs and the ITS system. As work began, law enforcement personnel were stationed at each entrance and exit ramp throughout the duration of the closures. Tow trucks were also made available along the detour routes in the event of a crash or mechanical problems. This strategy allowed for smooth traffic flow along the alternate routes and maximized the capacity during the interstate closure. Send printed information about the closures and detours to every trucking company that held a license in the State of Kentucky. KYTC personnel involved in the project also appeared on local radio shows and local news broadcasts to help inform travelers about the details of each project. Figure 6 shows an outreach document used to provide information to travelers prior to construction. The KYTC originally looked at performing the project using traditional part-width construction. The project was estimated to take approximately 90 days under the original continuous part-width maintenance of traffic plan. Personnel from the Louisville KYTC District (District 5) voiced strong opposition to having continuous traffic control on the Interstate during the anticipated 90-day construction period. Through experiences with emergency maintenance projects and crashes along the corridor, District 5 personnel believed that the capacity on I-65 during peak hour operating conditions, using traditional construction methods, would drop to unacceptable levels. Based on these projected impacts to the traveling public, District 5 personnel proposed that the work be done on weekends only (9 P.M. Friday until 6 A.M. Monday). The KYTC had developed a concept for the use of full closure that would have less negative impact on motorists in the Louisville area. However, the weekend full closure plan included one more issue that needed to be addressed: The public would not desire to have the project take a very long period from beginning to end. The District 5 Chief Engineer asked, "If money and workforce were not an issue, how quickly could the work be completed?" Cabinet personnel estimated that it would take one weekend for construction on each direction of travel. It was decided that the impacts resulting from a larger effort in a shorter construction period would be better than lesser impacts stretched out over a longer construction period. From this idea, the full closure plan was born. Contractors were asked by the KYTC to participate in an information session to determine if the work was feasible in the time frame available. Bids for the I-65 project were opened at 10:00 A.M. on a Friday morning and the project was awarded to the low bidder the same afternoon. However, on the next Monday morning, the contractor awarded the project forfeited the 5 percent bid bond to negate the contract because he felt the bid was too low. The KYTC awarded the project to the second bidder, which turned out to be a real plus as the firm had more resources and planning ability. The project would take place during two full weekend closures; August 11-14 for the northbound work and September 15-18 for southbound work. The KYTC designated October 6-9 as an alternate weekend for the project. Duration: One major reason for the use of full closure in Kentucky was to minimize construction duration. Using traditional methods the project would have taken approximately 90 days; with full road closure the project was completed in 107 hours, or approximately five days, which resulted in a project duration reduction of 95 percent. While using full closure, the contractor finished the I-65 project seven hours ahead of the schedule that was already accelerated by using full closure. Worker and Traveler Safety: Project personnel feel that worker safety and productivity were also benefits from the use of full closure in Kentucky. Project personnel related that a much safer working environment was created for the contractor by eliminating worker exposure to traffic. There was only one work zone injury during the course of both the I-65 project and a subsequent I-64 construction project using full closure. Cost: Public outreach, provisions for traveler information, incentive bonus for early completion, and additional maintenance of traffic costs added to the overall cost of the I-65 project. The additional maintenance of traffic costs were due to the added volume of traffic control devices needed for the project. Time constraints on setting up and removing the traffic control also drove up the costs. No quantitative data were available to assess user costs resulting from the use of traditional maintenance of traffic versus full closure. The KYTC felt, however, that added cost would be adequately offset by the reduction in user cost over the life of the project. Quality: One driving factor in using full closure was that it would allow contractors to complete the work at a higher quality. It is believed that the unrestricted access to the I-65 work site, and improved work environment with reduced distractions, allowed work to be completed at a higher quality, potentially leading to a facility with superior durability. The formal partnering agreement between KYTC and the contractors allowed for concerns and issues to be addressed before the beginning of the projects and forged bonds that made dealing with issues during construction much simpler. The plan was more effective through open communication in partnering and the positive effect from the public relations campaign. The KYTC believes full closure provides a viable alternative to traditional methods. When the right factors exist, the full closure method can be the preferred method if used properly with a solid plan for traffic management on alternate routes. KYTC will seriously consider the option of using full closure in urban areas such as Louisville in the future. Public information was vital to the success of full closure in Louisville. By informing the public ahead of time about what they would encounter on I-65, they were in a position to make good decisions about alternate routes or changing travel schedules. In 2002, the Michigan Department of Transportation began an extensive effort to rehabilitate six major travel routes within and around the Detroit Metropolitan area. The program, referred to as Fix Detroit 6, included six major roadway rehabilitation and bridgework projects that would be completed by 2003. One of those projects was on Michigan State Road 10 (M-10), also called the John C. Lodge Freeway. The M-10 is a downtown route that needed full surface reconstruction with five bridges also needing repair, removal, or replacement. The M-10 is a major downtown route that runs from I-696 in Southfield directly downtown to Detroit, intersecting with I-94 and I-75 and connecting with West Jefferson Street. The route serves mainly commuter traffic, and travelers going to downtown attractions, such as Joe Louis Arena, downtown business district, entertainment venues, the Windsor Detroit Tunnel, and major business headquarters. Project specifications called for pavement removal and replacement, including shoulders and barriers. Concrete sections along the route were to remain in place but were cold milled and patched. Streetlights and other improvements were also included in the specifications. Five bridges exist along the project route. The Howard and Porter Street bridges needed superstructure replacement and substructure repairs. The Bagley Street Bridge was given a concrete deck overlay with substructure repairs performed. Structural removal took place at the Elizabeth Street Bridge. Deck patching, joint repair, and substructure repairs were made to the Larned Street Bridge. Figure 7 shows the project route and recommended detours. Project dates - July 9, 2002 through August 30, 2002. During the project planning phase, life cycle cost analysis was used to determine that hot mix asphalt be used as opposed to concrete. Given that the project length was short (1.27 miles), it was determined that hot mix asphalt would provide a better cost/benefit ratio. Public outreach and communication was a critical element of successfully planning and deploying the Detroit full closure road project. The Fix Detroit 6 program was an initiative that provided public information to Detroit residents and travelers on the six major projects that would take place during the 2002 and 2003 construction seasons. The cornerstone of the initiative was a comprehensive website that provided updated project information including progress and closures. Information seekers also had the option of receiving project/route-specific detour information via e-mail as significant changes were made. M-10, the John C. Lodge Freeway, is the main entrance to Downtown Detroit. 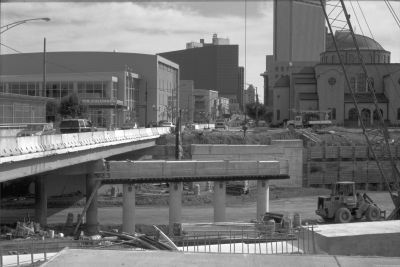 We chose to close an entire stretch of it in the downtown area in the summer of 2002 for reconstruction, opting to get it done quicker, at a lower cost, rather than spread the construction over two seasons. Travelers quickly found alternate routes, and the freeway reopened in two months, earlier than expected. Initially, the City of Detroit objected to the use of full closure that could affect access to downtown traffic, sporting venues, and businesses. MDOT was able to convince the City that using the full closure would reduce the negative impacts of the project overall. Concessions were made to accommodate area events during the construction project. Given the proximity of the M-10 to the home of the Detroit Redwings - Joe Louis Arena - it was decided that construction closures would not begin until the hockey season and playoffs were completed in July. Many businesses rely on access from the M-10 for customers. Meetings were held to discuss the full road closure and resolutions to potential problems. For example, there are three casinos in the city. The closure could potentially divert customers and cause a loss of revenue to casinos near the project site. Additional signing was installed to direct potential customers to the casinos via alternate routes. Additional signing was also necessary for other downtown destinations such as the Greyhound bus station. Businesses located directly near the closure likely experienced a decrease in business during the M-10 full closure. The availability of alternate routes. Duration: Full road closure allowed the contractor complete access to the facility, as shown in Figures 8 and 9. This greatly increased the staging area and reduced the need for maintenance of traffic set-up and removal during various stages of the project. MDOT estimated that if traffic were maintained using the traditional methods the project would have taken longer than six months, while using full closure could enable the contractor to complete the project in a much shorter time. The project was bid as an A+B, or cost plus time contract. Incentives were available to the contractor at $25,000 per day for early project completion. Using full closure the M-10 project was scheduled to take 65 days; however, the contractor was able to complete the work in 53 days, taking advantage of the early completion bonus. While providing incentives adds to the cost of the project, user costs and potential overall project costs were reduced. Worker and Traveler Safety: It is difficult to quantify the increased safety that results from using a full road closure. However, eliminating the traffic and construction worker interface virtually eliminates the possibility for crashes to occur in the work zone. No serious injuries took place on the project. Project personnel also noted that contractor damage claims filed were dramatically lower than they would have been for typical projects not using full closure, demonstrating reduced negative impacts to motorists and potential improvements to safety. Cost: Using full road closure has the potential to afford greater economies of scale. While no quantitative information was available on cost savings for all work items, MDOT engineers said that the cost for traditional maintenance of traffic would have added significantly to the total project cost. Typically the maintenance of traffic cost for any given project of this size ranges from 5 to 10 percent of the total project cost. The maintenance of traffic cost for the M-10 was estimated at 1.3 percent of the bid price. Beyond basic signalization, diverting traffic from the M-10 did not require additional enhancements to alternate routes, also keeping overall project costs low. Providing the contractor with full access to the facility eliminated the need for distant staging areas and kept equipment and materials close, further reducing overall project time and costs for the M-10 reconstruction. Quality: Full-width construction not only expedited the process, but the reduction in the overall number of joints and seams allowed for superior product quality. Project personnel also cited that workers seemed to be more productive. In creating detour routes for full closure it is Michigan DOT standard operating procedure that freeways be specified first, followed by trunk lines, and, if these do not provide a reasonable detour, then local routes are specified. If local routes are used, approval must be given by the local agency; typically an agreement is negotiated that specifies any necessary temporary fixes, upgrades, or damage repairs that will be performed by the state agency. MDOT engineers have found that many drivers will find their own routes beyond those recommended as detours, hence reducing the amount of congestion expected on predetermined detours. Experience has shown that vehicle load on travel routes will balance after about two weeks of closure and detour. During a full closure there may be greater potential for theft and vandalism on the construction site. Project personnel attributed the increased potential for crime to the fact that local or state police do not regularly patrol fully closed freeways. A full closure project may require arrangements for additional security. The M-10 project, as do many full closure type projects, utilized an A+B contracting method to ensure that time requirements for road closures were met. It was noted by MDOT personnel that this type of contracting can create a high-stress environment for both state agency personnel and contractors. In order to meet deadlines, decisions frequently must be made in the field, sometimes without as much research or consideration as desired. This could have negative effects on the quality of the product delivered. Projects involving a significant amount of utilities, especially those with older utility lines that are not precisely located, may encounter unpredictable delays. Agencies should consider the potential unpredictability of the schedule prior to using full road closure and time-based bidding. During the M-10 reconstruct an addendum was made for the Howard Street Bridge deck replacement, which had many utilities on the structure. The contract for work on the Howard Street Bridge was written as a separate item in the contract and not included in the A+B requirements to reduce the chance for overall project delay. During previous full closure projects MDOT personnel have found that in attempts to keep motorists informed, over-signing can be an issue. Over-signing can result in non-effective signs that can drain project budgets with little positive effect on the public. In the past, MDOT has deployed signage outside the Detroit Metro area, which created confusion for travelers approaching the city. On recent full closure projects MDOT personnel have localized signage to avoid such issues. The Ohio Department of Transportation (ODOT) and the City of Columbus in 1992 began the process of rebuilding the Spring-Sandusky interchange near Downtown Columbus. In order to accomplish this, 15 separate projects had to be constructed to complete the new configuration of the interchange. The Spring-Sandusky interchange serves the densely populated and heavily traveled Downtown Columbus area. As of June of 2002, ODOT had completed 13 projects with a total investment of $175 million. The last two of these 13 completed projects, involving the construction, reconstruction, and widening of a three-mile section of I-670, had used the full closure method with good success. The final two construction projects that remained on the Spring-Sandusky interchange consisted of rehabilitating, widening, and extending Interstate 670 (I-670) over a 1.5-mile stretch of roadway. The two projects were broken into a half-mile extension of I-670 and a mile section of roadway that needed to be rehabilitated and widened. The new section would be from Neil Avenue to State Route 315, and would complete I-670 and its link between I-71 to I-70. The section to be rehabilitated and widened was from Cleveland Avenue to Neil Avenue. Work on this section was done using a full closure and is the focus of the I-670 discussion in this report. Figure 10 shows the project route with recommended detours. Project dates - March 30, 2002 to September 30, 2003 (estimated). The Ohio Department of Transportation is committed to the continuous movement of traffic through all work zones by the elimination or reduction of delays. It is our goal to minimize the impacts on the traveling public resulting from the implementation of the work zone. Therefore, Districts shall analyze the projected effect of construction and force account projects on traffic flow and take the steps necessary to prevent traffic delays to the extent possible. Based on the ODOT policy, the Mid-Ohio Regional Planning Commission (MORPC) completed a computer model that predicted where the traffic would go to avoid the construction. The traffic study considered and modeled traffic that would use the existing alternate detour routes in the corridor (including I-71, I-70, Route 315, and local city surface streets) during construction. Since this section of I-670 is a major east-to-west carrier, the model showed seven other east-to-west sections of roadway that could see a major increase in volume. Based on predicted increases in volume, the City of Columbus planned to manage signal timing in real time using the traffic control center. Even though traffic on some of the roadways increased, the model showed that four roadways would experience a major decrease in volume of traffic and three other roadways would experience a moderate decrease in volume of traffic. ODOT started a strong and intense public relations campaign six months prior to construction in order to inform motorists that a section of I-670 would be closed. The campaign reached out to all potential stakeholders in the community, from public officials to commercial business owners to residents and motorists, using brochures, a 20-minute community television show, e-mail alerts, media coverage, and a website. The reason for using a full road closure was primarily to minimize the impacts of construction on the traveling public, and was considered since there were many existing alternate detour routes available near the project. This project had been in the planning process since the mid-1980s and had been through several review processes. The original intent of this project was to construct it using the traditional half-width construction method. ODOT prepared the design for half-width construction and estimated that the time it would take to complete the project under these plans would be at least four years because of the tight area to perform the work while maintaining traffic. After further review, and a traffic study performed by the MORPC, ODOT concluded that a full road closure of I-670 could reduce project construction time and improve work zone safety. Duration: As the I-670 project is currently underway (through September 2003), the full scope of time savings realized through the use of full closure is yet to be determined. 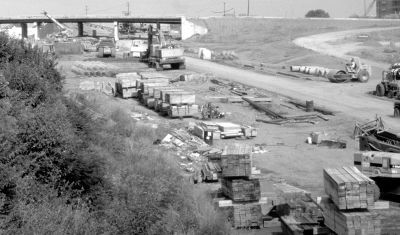 The low bid contract for the I-670 construction project included contractor incentives/disincentives of $20,000 per day to encourage timely completion. As of June 2003, the project was under construction and on schedule to meet the expedited contract completion date of September 2003. During project planning it was estimated that the project duration would be reduced from four years to 18 months using full closure, for a total time savings of 30 months, or 63 percent. Worker and Traveler Safety: Using full closure eliminates the exposure of workers to traffic and of motorists to active work zones. Project personnel felt that a much safer working environment was created for the contractor by eliminating worker exposure to traffic. Under the appropriate conditions, a full closure can be an effective way to complete projects faster and improve safety for highway workers and motorists. Cost: Another benefit from using the full closure method was a significant cost savings. The contractor estimated a cost savings of $8 to $10 million from completely closing the roadway compared to using traditional part-width construction. The reason for this dramatic difference is the high level of effort required to maintain traffic through the work zone under half-width construction over a period of four years. Also, under full closure construction, contractors have more room to work, operate their equipment, and store materials; the full access is conducive to efficiencies that allow for lowered construction costs. Public Sentiment: The public relations campaign in this project has been a key to success and key to the positive attitude and acceptance of the public as a whole. With the I-670 project still underway, a full assessment of public sentiment was not available. Thus far, based on e-mails sent to ODOT, public sentiment toward the use of full closure and the regular distribution of project information updates has been very positive; citizens are particularly impressed with the fast pace of construction. While the majority of comments have been positive, travelers and residents have filed a few minor complaints such as potholes needing repair, lost parking spots, and access issues with local businesses. Because ODOT had established open lines of communication (progress reports; ODOT contact list; a local traffic advisory committee with representatives from neighborhoods, the City of Columbus, ODOT, and FHWA) prior to beginning the project, citizens were able to direct their complaints to the appropriate personnel, resulting in quick resolutions for most issues. Additional Benefits Cited - Workspace: From the perspective of the contractor for this project, additional construction space is the biggest advantage of completing the project under full closure. This section of I-670 runs through a narrow space surrounded by the downtown commercial district (see Figure 11), making construction space a premium. The additional space available to store equipment and materials, as shown in Figure 12, significantly increased the efficiency of the construction operation. Also, the roadway elevations were going to be lowered by several feet over the whole project, which would also have made it difficult and costly to construct this project using traditional maintenance of traffic strategies. This factor, combined with the contractor’s ability to have more workers on the job site, has enabled the contractor to progress toward the goal of 18 months. The key to the public relations campaign was catching everyone’s attention, informing them of what to expect, and following through on what was promised. The campaign let the public know how to detour and where to expect delay on the roadway network. The campaign prepared the public for the worst-case scenario so that the public would expect some delays. Coordination among several agencies was critical to project success. The City of Columbus is particularly active in coordinating efforts and achieving project success. The City had a manned centralized traffic control center that managed the signal timings of the alternate routes. The traffic control center viewed volume data and then in turn made the necessary changes to signal timings. The law enforcement agency worked in conjunction with ODOT to assist in deploying the full closure and directing motorists toward alternate routes. Emergency management services coordinated with ODOT to obtain advance information on road closures allowing them to quickly maneuver around the closure to arrive at destinations in a timely manner during emergencies. Route closure information was also distributed and displayed as part of the public relations campaign to inform the general public about the effects of the construction project. As the project is currently active, there is potential for more lessons learned. In the city of Kennewick, the Washington State Department Transportation (WSDOT) rehabilitated three intersections on SR 395 - at Clearwater Avenue, West Kennewick Avenue, and Yelm Street - using partial and full road closure approaches. The rehabilitation was necessary because the intersections, originally built with asphalt concrete, had developed substantial ruts. These ruts were caused by continued stress incurred by slow-moving trucks and warm temperatures. To fix these ruts, and to combat future rutting, WSDOT decided to use a full-depth Portland cement concrete pavement (PCCP) instead of the commonly used asphalt concrete. The decision to use full-depth PCCP was based on a life cycle cost analysis with a 40-year design life for each intersection. The life cycle cost analysis demonstrated that the PCCP reconstruction provided the lowest 40-year annualized cost. In the Kennewick, Washington area, intersection rehabilitation projects with PCCP have traditionally resulted in traffic management problems, encouraging a new approach to rehabilitation. Previously, intersection rehabilitation had taken several weeks to complete and caused complete disruption of the intersection, resulting in numerous complaints from the public. Full weekend closure of the intersection would allow for continuous construction, reducing the overall impact on motorists. Prior to developing the weekend closure approach, WSDOT reconstructed leave legs and intersections under traffic. One disadvantage of PCCP is the cure time necessary, which prolongs the need to divert traffic. To reduce cure time WSDOT used high early strength PCCP to allow the roads to be reopened in a timely manner. To help keep the project on schedule, the contractor developed a critical path timeline based on hours instead of days. During the closure local traffic was detoured to adjacent streets while state highway traffic was detoured to surrounding highways. The availability of detour routes for local and through traffic made the use of full closure possible. The longest detour was provided for truck traffic and was 13 miles, which required good communication with truck drivers passing through the urban corridor. Car traffic was detoured on the local streets and their longest detour was approximately five miles. Although the impacts from the use of full closure were concentrated into a shorter time frame, the exposure of motorists to the work zone was eliminated. Figure 13 shows the intersections that were closed. Originally an agreement between WSDOT and the City of Kennewick called for two-day closures to complete intersection repair. However, a three-day closure was desired by contractors to deal with the uncertainties involved with a weekend closure, and to provide necessary pavement cure time. With three intersections to be completed in this set of projects, the City of Kennewick and WSDOT agreed that three-day weekend closures would be designated for the construction of each intersection. Leave legs were reconstructed under traffic on the days preceding the weekend closure, with the intersection proper being reconstructed during the full closure. The intersections of West Kennewick Avenue and Clearwater Avenue were done during the same weekend closure. The construction process required the existing roadway to be excavated, the grade prepared for concrete, formwork placed in order to pour the concrete, and finally roadway preparation prior to reopening for traffic. This process was performed on the intersection square and a portion of each approach or leave leg of the adjoining city streets. The contract allowed each intersection to be closed at 7 P.M. Thursday evening and required it to be opened by 6 A.M. the following Monday morning. The PCCP placement and curing proceeded well, with the roadway being opened substantially ahead of the 6 A.M. Monday morning target. For all three intersections, the roadway was opened to traffic by 6 P.M. Sunday. Project dates - September and October, 2000. Complaints received and traffic issues that resulted from previous intersection rehabilitation projects led the WSDOT team to explore methods to accelerate construction. During past intersection projects, staging requirements did not allow construction on adjacent intersections, so traffic weaved through the construction area, causing confusion and many complaints from the public. Past requirements also restricted the contractor and caused delays; construction time stretched out over four months for four intersections. The City of Kennewick and WSDOT developed the idea of a three-day closure during the design phase for this set of projects. Full closure was used on three intersections, with two being closed and rehabilitated concurrently on the same weekend. Duration: All three intersections on SR 395 were completed ahead of the accelerated schedule, opening by 6 P.M. on Sunday. On average it took nine days to finish each project, including the work performed before and during the closure. In the past, rehabilitation on four intersections had taken four months, or an average of 30 days per intersection. Using full road closure resulted in an estimated 63-day reduction of project duration for all three intersections. Worker and Traveler Safety: During the full closures, workers were not exposed to vehicles in the work zone, and travelers did not have to travel through a complex system of cones and barrels. State DOT personnel cited that complete closures allowed for a safer environment for state and contract workers. Public Sentiment: Based on comments from the public in Kennewick, the three-day total closure used by WSDOT was generally favorable and enabled crews to finish the work quickly and efficiently. WSDOT has found that a well-informed public is more tolerant of delay and inconvenience resulting from work zones. Upon completing the project WSDOT received favorable comments from both businesses and residents. Availability of key decision makers for both WSDOT and contractor to resolve issues quickly. Interstate 95 through Delaware serves as a major artery connecting the Northeastern corridor with the Southern states. The route carries significant amounts of personal vehicle and truck traffic, both commuter and through traffic. The section was over 30 years old, had very little maintenance repairs, and was in poor condition. (9) Population growth and economic development along the Northeastern coast had increased average daily traffic significantly. Peak-period traffic levels have lengthened, leaving very little time for non-peak type roadwork. The project called for rehabilitation of pavement, bridges, drainage system, lighting, and safety features. Also to be repaired were 10 interchange ramps. The existing 10-inch jointed concrete pavement was nearing the end of its useful life. The prime contractor was George & Lynch Inc. Construction. Full-depth reconstruction was used to maintain areas of critical clearance under bridges. Rubbilization was used on existing concrete pavement to save money and time. Rubbilization is the process of breaking up and compaction of existing pavement; new asphalt is then laid directly on top of the crushed concrete, which provides a good base. The rehabilitation project would use a full closure approach. The southbound direction of the project would be closed from April 3 to June 29, and the northbound direction would be closed from July 9 to October 13. Figure 14 shows the closure and alternate route used. An incentive/disincentive package was developed based on four project phases, lasting approximately 30-50 days each. DelDOT placed a $25,000-per-day bonus or penalty for up to 10 days on each of these four phases. The contractor had the possibility of earning an additional $1,000,000 in bonus money for early completion or paying $1,000,000 in penalty for a late completion. Project dates - April to October 2000. A partnership was created between DelDOT and various stakeholders including: political leaders, community activists, business leaders, government officials, and the general public. The partnership developed and instituted a program called the Five Elements of Mobility: (1) Public Information (2) Transportation Management Improvement (TMI) projects (3) Integrated Transportation Management Systems (ITMS) (4) Traveling together (5) Capital Improvement Program (CIP) Coordination. The five elements were seen as a good effort to get the word out on project details and impacts, in order to implement congestion mitigation measures prior to project deployment. Approximately $13 million was spent on the partnership and five mobility elements listed above. Many improvements were made throughout the area to facilitate the full closure. Improvements included retiming signals, adding and improving left-hand turn lanes, adding capacity to ramps, ITS deployment, rail station enhancements, and improved "Expresso" bus service to downtown locations. Capacity improvements were made to intersections predicted to see an increase in traffic during rehabilitation. Improvements to alternate routes increased the overall project costs; however, the improvements remain effective in reducing congestion on the road network. Rehabilitation projects in the future will benefit from the initial investment made by DelDOT in preparing for the full closure of I-95. The public outreach component of the I-95 rehabilitation project was significant. Beginning two years prior to project deployment DelDOT initiated a public outreach strategy that resulted in a "survival guide" publication advertisement space in local newspapers, outreach events, and public meetings. Investments made on alternate routes during the I-95 project will reap benefits on future projects; one notable step was purchasing a radio station (1380 AM) that relates traffic and travel information on a 24-hour basis. The outreach strategy covered both in-state/local motorists and out-of-state traffic. DelDOT personnel related the importance of providing different information for each group based on its needs. DelDOT decided to pursue a full road closure strategy to reduce project duration, therefore alleviating the impact of rehabilitation on travelers. Given that an alternate route existed with ample capacity, the heavy traffic that normally travels along I-95 could be easily rerouted. Providing exceptional service and mobility to both local and through travelers is important to DelDOT personnel and key decision makers. A key determinant in using the full closure method was the availability of a parallel interstate route, I-495. Prior to beginning the project it was estimated that the level of service on I-95 along the 6.1 mile section was D or F, and on I-495, it was A or B. The extra capacity on I-495 was a key determinant in deciding to use full road closure. It was estimated that 35 percent of the traffic using I-95 was through traffic and could be diverted to I-495. It was decided that local traffic using I-95 could be diverted to I-495, then to the improved local street network. Duration: In order to expedite the construction process and minimize the impact on I-95 corridor traffic, DelDOT developed an innovative plan for rehabilitation using full closure. From the contractor’s perspective this would minimize construction times, provide a safer and more efficient work area, and reduce conflicts with traffic. (10) Overall project duration was reduced from two years to 185 days, resulting in a reduction of exposure for both travelers and workers of 75 percent. Reduced duration was key on such a highly traveled route connecting major cities (see Figure 15). 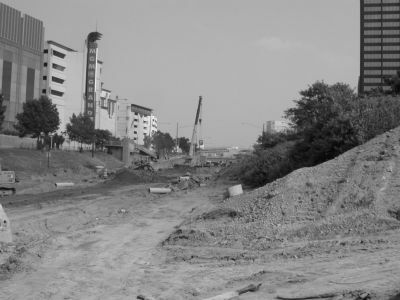 Worker and Traveler Safety: Safety is difficult to quantify; however, project personnel cited the improved safety of separating construction activities from through traffic as a major component of the decision to use full closure. It is possible that crashes increased on alternative routes; however, no data are available. Cost: As part of the maintenance of traffic planning, regional models of New Castle County were used to identify diversion alternatives associated with various maintenance of traffic options. From the regional models, intersections and roadways predicted to experience severe increases in traffic were identified. The resulting congested sites were then examined further to determine capacity-related improvements that could accommodate projected trip diversion. Prior to beginning the mainline project, capacity improvements were made on alternative routes and intersections such as sequencing lights, additional turn lane capacity, and improved ramps. According to project personnel the overall cost of the I-95 full closure was more expensive compared to traditional maintenance of traffic projects. Included in the increased costs are improvements made to alternate routes, some of which have long-term value, and the extensive two-year public outreach campaign necessary to inform residents and travelers. Maintenance-of-traffic costs were reduced as a result of eliminating the need for a temporary PCC barrier. Project personnel estimate that MOT costs were reduced from approximately 10 percent of total project budget to two percent. Quality: Project personnel noted that allowing the contractor full access to the roadway resulted in a long-term pavement section that was built to the highest standards of efficiency. A smoother surface, with a notably quieter ride, resulted from the need for fewer joints. The 40-year design includes regularly scheduled maintenance and overlays; it is yet to be determined if the durability of the roadway is improved through the full closure approach. Public Sentiment: Positive comments were received, with very few complaints during the I-95 project. As noted by project personnel, the success of the project has "raised the bar" on future projects, requiring innovative thinking and strategic planning with the public in mind. The overall success of the I-95 project has created a new level of appreciation and respect for the DelDOT team as a whole. Additional Benefits Cited - Investment for the Future: Many of the congestion mitigation initiatives that were implemented during the early stages of the I-95 rehabilitation were permanent improvements to the traffic network. Traffic management initiatives implemented during the project have continued to provide benefits following project completion. ITS implementation, ramp and intersection improvements, and emergency access ramps have greatly benefited the entire network in reducing congestion. The "Expresso" bus service that was implemented during the project transported citizens from selected stops directly downtown. The Expresso service initially planned for deployment only during the construction period was continued for two years after project completion based on its popularity. The route was later discontinued during annual route adjustments, due to low ridership. 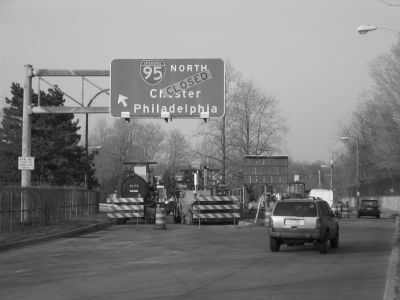 Pre-qualification of contractors was critical to project success on the I-95 full closure. Contractors were required to qualify twice during the process. Initially a first cut of contractors was made based on capability to complete the project, including the availability of resources such as manpower, equipment, and asphalt production. Qualifications were again solicited from the remaining contractors, as contract specifications became available. Including public relations personnel as part of the project team is important and allows the public to remain informed as the project moves forward. With the complexity of closing a major north/south route, the public relations component is critical to project success. Having begun the public outreach campaign two years prior to project implementation, information was far-reaching and comprehensive. One of the keys to the success of the I-95 closure was having a champion with technical project knowledge who was able to convince the public, elected officials, and senior DOT personnel. Typically the public will interface with a spokesperson for projects; however, during the I-95 closure project personnel intimately familiar with technical aspects of the project were able to connect with the public during meetings and call-in radio shows. It is felt that this contributed greatly to public acceptance and cooperation using the full closure approach. Early involvement of construction personnel reduces potential roadblocks to project success, resulting in smooth construction with fewer disruptions. During the planning and design phases, the construction group provided input that would alleviate change orders and revisions after construction had started. Much of the success of the I-95 project is attributed to the construction group. A limited capacity closure refers to removal or suspension of a portion of traffic operations directionally from a segment of roadway for the purpose of reconstruction and/or maintenance activities. Traffic can be suspended based on vehicle type (e.g., removing automobiles, allowing trucks to continue) and/or destination (e.g., removing through traffic while maintaining local traffic). 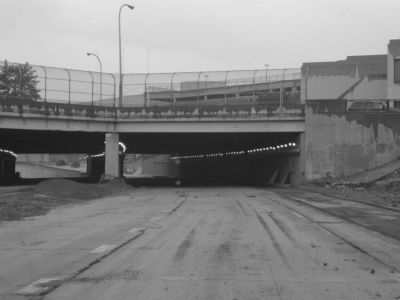 I-75 in Detroit was rehabilitated using a limited capacity closure. I-75 carries a large number of commercial vehicles to and from the Canadian border through Detroit. Realizing the importance of maintaining commercial trucking operations during the project, Michigan DOT decided to allow one northbound lane, operating on the southbound side, to remain open for truck traffic. The lane served as an express route from I-75 to downtown Detroit. Entry and exit ramps along the route were closed, limiting access to the facility during construction operations. Limited capacity closure projects require a significant amount of public information and outreach. Media outlets were used to disseminate details on the project, and information about alternate routes was available. As part of the Fix Detroit 6program the I-75 project details were provided in a flyer included in the Detroit Free PressSunday paper. The flyer related information on six projects. More than 850,000 Fix Detroit 6flyers were included in the paper at a cost of over $80,000. As a result of this strategy, congestion was reduced on alternate routes due to availability of a primary route to commercial vehicle traffic. Michigan DOT personnel noted that while it is not known whether the number of accidents has gone down, in general the severity of accidents has been reduced through the use of the limited capacity closure. Increased access to the roadway allows for full-width construction to take place, improving quality and reducing the number of joints needing potential future maintenance. Many projects have utilized nighttime or off-peak closures to facilitate construction or maintenance operations. As defined in this report, a nighttime or off-peak closure is removal or suspension of traffic from a segment of roadway during the night or off-peak traffic periods for the purpose of reconstruction and/or maintenance activities. Often the work performed under nighttime closures requires complete access to the road such as bridge work or utilities repair. During a bridge rehabilitation project near Wilmington, North Carolina, engineers utilized a nighttime closure to set bridge girders. I-40 was fully closed for 6 hours, from 12:01 A.M. to 6:00 A.M. The detour required vehicles to travel about 10 miles. The space needed to perform the necessary work was only about 300 feet of roadway; however, alternate routes would not allow for a quick detour off and back onto the road. Given the type of work being performed, no alternative to nighttime closure was available. NCDOT engineers and inspectors monitored traffic at both ends of the full closure to ensure that traffic was detoured smoothly and congestion did not reach unacceptable levels. Stakeholders included highway patrol, emergency services, media, local police, and NCDOT traffic services. Despite needing full access to only a small portion of the road (300 yards), the detour route was approximately 10 miles long due to a lack of alternatives. Work crews were able to safely install bridge girders with no traffic conflict to hinder the extensive procedure. Traffic volumes during the 12:00 A.M. to 6:00 A.M. time period are very light, allowing traffic to be re-routed with minimal consequences. Nighttime closure allowed crews to complete the necessary work while reducing the disruption of traffic to one extended period of time, instead of several short closures. Ramp closure, as defined in this report, requires the removal or suspension of traffic from a ramp or series of ramps for the purpose of rehabilitation or construction. Closing a ramp can eliminate the need for complex traffic control that addresses both traffic entering the facility and traffic already on the facility. Oklahoma initiated a policy to facilitate reconstruction and improve public relations during reconstruction activities. The policy allows for existing ramps to be closed for rehabilitation projects based on the potential for congestion or safety concerns. The Oklahoma Department of Transportation must conduct a public hearing for the surrounding neighborhoods to notify the public of the upcoming closures and to address the concerns expressed by the public. Typically, this is done just prior to closing the ramps. In the future, ODOT plans to conduct public hearings during the planning and design phases to ensure that all local concerns are addressed and that no economic hardship to the local economy will be produced from the ramp closures. Ramp closures typically facilitate and accelerate reconstruction. This in turn reduces motorist delay and improves safety. Ramp closures also serve to increase public awareness of construction projects and work zones, and often provide new ideas on different approaches to reduce impacts. As defined in this report, intermittent closures are the removal or suspension of traffic from a segment of roadway for specified time increments, typically 5 to 30 minutes, while roadwork takes place. Examples of project types conducive to intermittent closures include utility work or bridge girder placement. Many agencies including the Ohio Turnpike Commission use intermittent closures, in the form of rolling roadblocks, to perform structural steel setting, utility crossing work, or to shift traffic into a new configuration. Performing rolling roadblocks requires police officers to control each lane of traffic and on-ramps, and maintenance staff to serve as the "last vehicle through." Rolling road blocks are used 35 to create a 10- to 12-minute traffic-free work window. Typically this requires that traffic be shut down approximately 10 miles prior to the work zone. The entire closure lasts 20 to 25 minutes. About 10 minutes are needed to clear the roadway, leaving 10 to 12 minutes for work to take place. Rolling roadblocks have the potential to create significant traffic backups. Significant manpower is generally required to deploy a rolling roadblock. Work should be conducive to night work, as rolling roadblocks during the daytime have potential to create unacceptable congestion. Traffic is slowed and controlled, allowing for noninterrupted work to take place for 10 to 12 minutes. Rolling roadblocks allow traffic to remain in motion, making recovery easier than completely stopping traffic. Rolling roadblocks can also serve as a useful approach to make significant shifts in lane configurations. The purpose of this report is to raise awareness among designers, construction engineers, and managers of the applications and benefits of full road closure during rehabilitation and construction activities. Based on interviews with project personnel (when available) and literature reviews, six projects using a full road closure approach are described, including benefits, recommendations for success, and lessons learned. Factors related to cost, safety, mobility, duration, quality, and public sentiment during the application of full road closure are described. The goal of this examination is to provide transportation agency staff with a better understanding of the reasons for the use of full closure, and the benefits associated with the approach. Table 9 presents a summary of the rationale for using full road closure and the benefits of this action for the six projects described in this report. To quickly restore badly rutted pavement, complete the project prior to the winter rainy season, and allow for the late season use of of available funding. Reduced construction duration to two weekends, an 85% reduction. Achieved a smoother/quieter ride through a reduction in total number of joints and seams. To expedite construction to reduce the impacts on travelers. Reduced a 90-day project to 107 hours. Achieved a safer working environment for the contractors and increased productivity. Resulted in a higher-quality end product. To reduce construction time in order to complete the project in one construction season, and potentially increase safety. Reduced project duration by 71%. Reduced maintenance of traffic cost by 75%-90%. Cited a safer environment for workers and travelers. To minimize the impact of construction on travelers. Expected to reduce project time from four years to 18 months. Estimated cost savings of $8 to $10 million. Expected to increase productivity due to increased workspace. To minimize the time and disruption associated with replacing several intersections. Reduced project duration by 70% on average for each intersection. Eliminated the need for confusing traffic patterns that would have resulted from maintaining traffic through the intersections. Achieved positive public sentiment and support for the use of full closure. To minimize overall project completion time, reducing impacts to both local and through traffic. Reduced project duration by 75%. Believed to increase the safety of both workers and travelers. Improved public appreciation for DelDOT services. The six projects examined for this study all experienced numerous benefits as a result of using a full closure approach. All projects reported a reduction in project duration. According to the study, the average duration reduction resulting from the use of full road closure was 76 percent, compared with part-width construction using traditional maintenance of traffic (see Figure 16). Full closure essentially eliminates worker exposure to traffic and moves traffic away from the work zone. Reductions in project duration also reduce the time period that motorists are exposed to the congestion and safety impacts related to the road project. A measure of this benefit for the six projects is captured in Figure 17. Based on estimates from project personnel, two projects realized significant cost savings through the use of full closure. Five projects studied cited improved traveler and worker safety as a benefit and factor in the decision to utilize full closure. Three projects reported a better-quality product achieved through the use of full closure. Two project sites reported that no complaints were received about the project, with positive comments frequently being made by the public. All projects reported that public sentiment was positive. The increased workspace and flexibility in project staging offered by full closures often led to greater efficiency. All project sites noted that the impact of construction on travelers was reduced. Congestion observed on alternate routes during the closures was often less than expected. Impacts to business or entertainment venues can be a factor. Many of the project sites planned closures around events and considered impacts to businesses during the planning process. This type of planning helps to ensure a successful project. The public outreach component was noted as the key factor in the success of full closure projects by several sites. Public relations serves to inform the public of alternate routes, reduce the overall volume of traffic, and encourage patience on the part of travelers leading to increased satisfaction with project performance. Useful, accurate information exchange with all stakeholders is the goal of a successful public outreach campaign, and reduces complaints during the project. Agencies across the country are successfully using full closure in work zones. This cross-cutting study has examined some applications of full closure in work zones and the resulting benefits, issues, and lessons learned associated with the strategy. The approach has enabled state agencies to significantly reduce the impacts of rehabilitation projects, while not compromising quality, productivity, safety, and sometimes cost. Many agencies have already begun to experience these potential benefits and pass those benefits on to others. While a full closure approach may not be appropriate for every work zone, there are many situations where transportation agencies can effectively use full closure. Although the need exists to better quantify benefits, the qualitative benefits are apparent. Project personnel from several sites using a full closure strategy indicated that using full closure in work zones has resulted in positive public sentiment, increased productivity, reduced project duration, increased safety and/or a shortened risk period, and in some cases significant cost savings. With increased consideration and application full closure will help reduce the overall impact of work zones as deteriorating roads are rehabilitated and improved to meet ongoing and future mobility needs. To obtain a copy of a publication, visit our website at https://www.fhwa.dot.gov/workzones. 1 US Department of Transportation FHWA. (2001) Moving Ahead- The American Public Speaks on Roadways and Transportation in Communities. (Infrastructure Survey) FHWA - OP-01-017. 2 "Temporary Losses of Highway Capacity and Impacts on Performance" Final draft, April 2002, prepared by Oak Ridge National Laboratory for US Department of Energy. 3 US Department of Transportation FHWA. (2001) National Work Zone Safety Awareness Week - Fact Sheet. http://safety.fhwa.dot.gov/fourthlevel/nwzaw/factsheet.htm. 4 Dunston, P. and Mannering, F. (1998) Evaluation of the Full Weekend Closure Strategy for Highway Reconstruction Projects I-405 Tukwila to Factoria.Washington State Transportation Commission and US Department of Transportation. 5 US Department of Transportation FHWA. (2001) Moving Ahead- The American Public Speaks on Roadways and Transportation in Communities. (Operations and Planning/Environment Survey) FHWA - OP-01-017. 6 Oregon Department of Transportation. (2002) Technical Memorandum - Portland Bridge Project I-84 Banfield Freeway. 7 I-65 Institute. 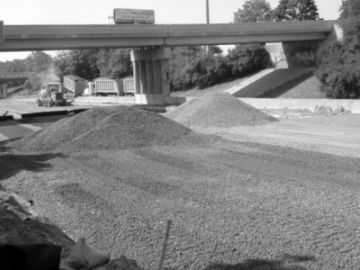 (2001) "Weekend Shutdown Works: Kentucky Transportation Cabinet Completes I-65 and I-64 Weekend Project in Record Time," Inside I-65 Newsletter, Vol. 2, No. 11. 8 Uhlmeyer, J. (2001) PCCP Intersections - Design and Construction in Washington State. Washington State Department of Transportation. 9 O’Neill, D. (2001) I-95 Reconstruction and the Five Elements of Mobility. Delaware Department of Transportation. 10 O’Neill, D. (2001) I-95 Reconstruction and the Five Elements of Mobility. Delaware Department of Transportation.